Now, on to some details about my card. 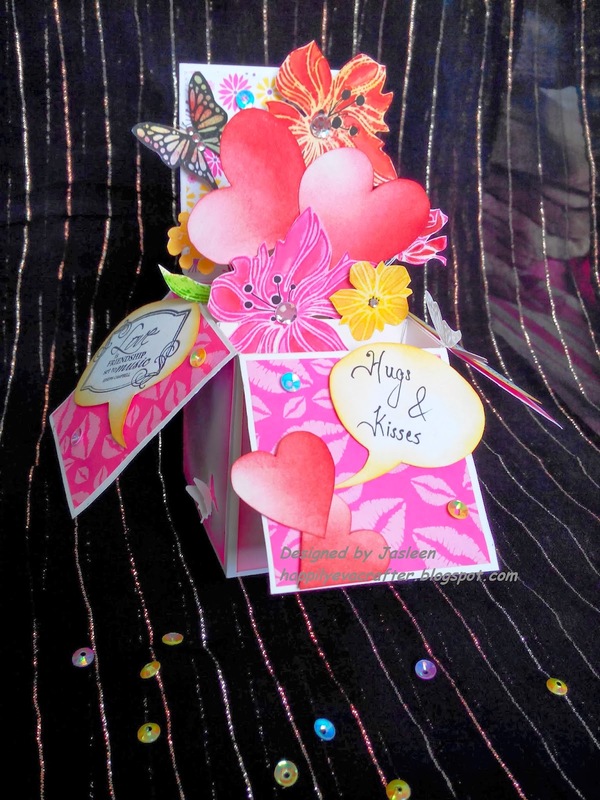 My card measures 18 inches by 4 inches when fully opened and I have used various die-cuts to decorate the insides as well the outsides. I have done soft shading on the die-cuts using Distress Inks - Spun Sugar, Victorian Velvet, Peacock Feathers, Shabby Shutters and Peeled Paint. 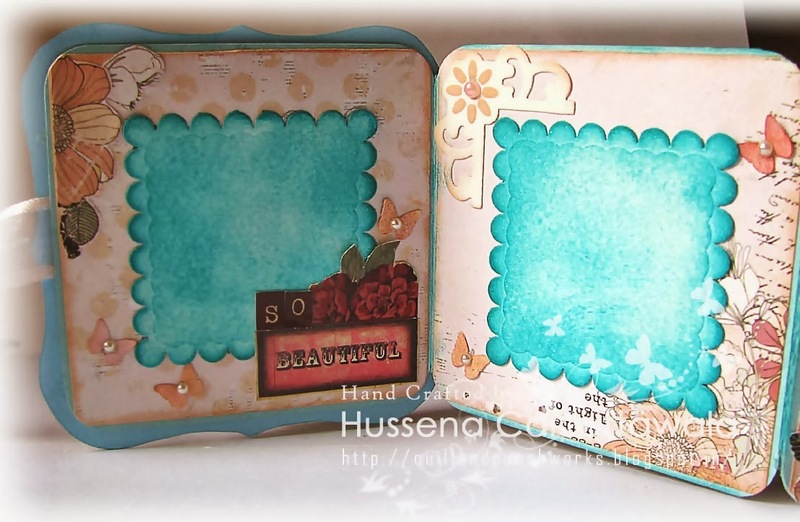 To get a soft look or shading for your die-cut pieces like the scalloped squares, is to first start applying ink very lightly using the Ranger Applicator Tool and the Ranger Blending Foams when the die-cut is in the die itself. This will help you control the area you want to ink and also will give a nice, soft finish. Once, you take out your die-cut from your die, you can ink the edges with more ink as compared to the center of your die-cut, as this will bring more focus to the soft shaded area. 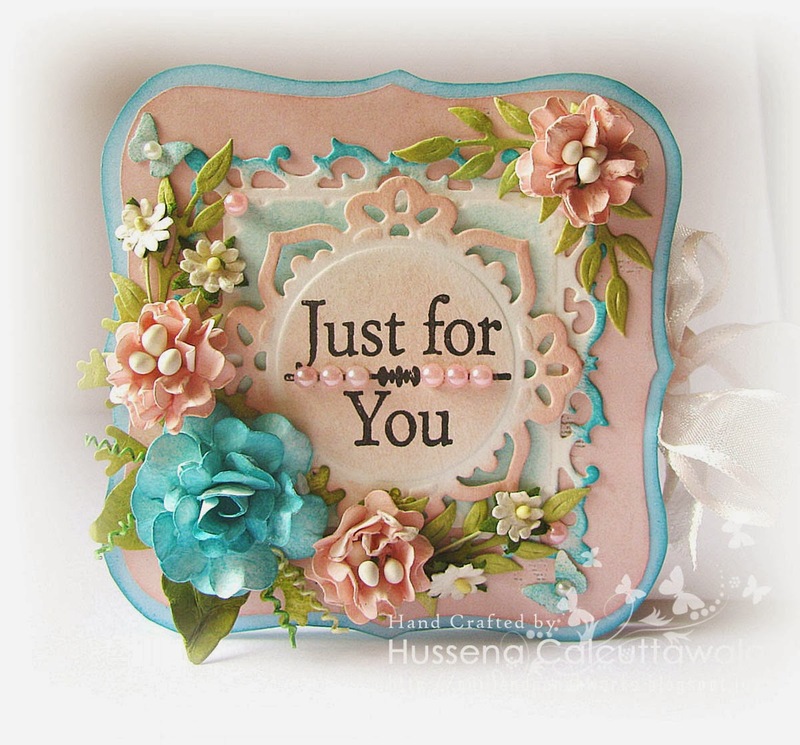 The roses on my card are all handmade using dies and Distress inks. 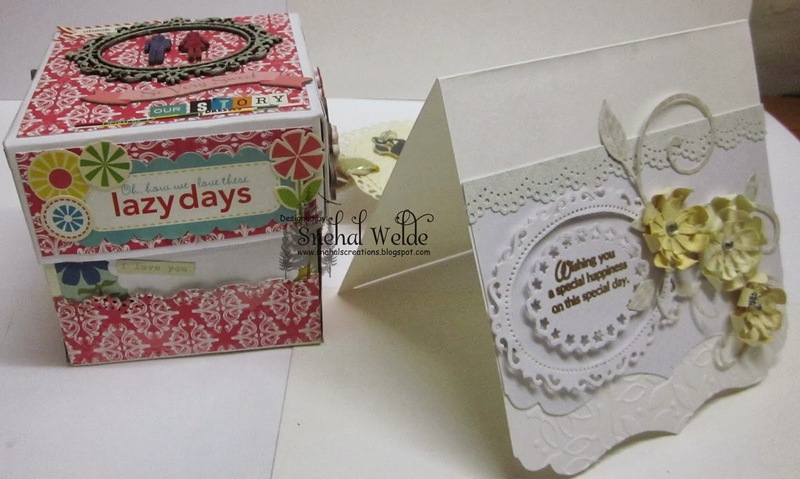 The cute, little banner on the box that you see above has been made using Micia Hello Girl stamp from the Lulupu Store. I really LOVE these stamps a lot, and I am quite impressed with the quality of stamping with them. They give such clear, crisp results everytime! I have colored the image using Distress ink -Spun Sugar in the center and Crayola Markers. 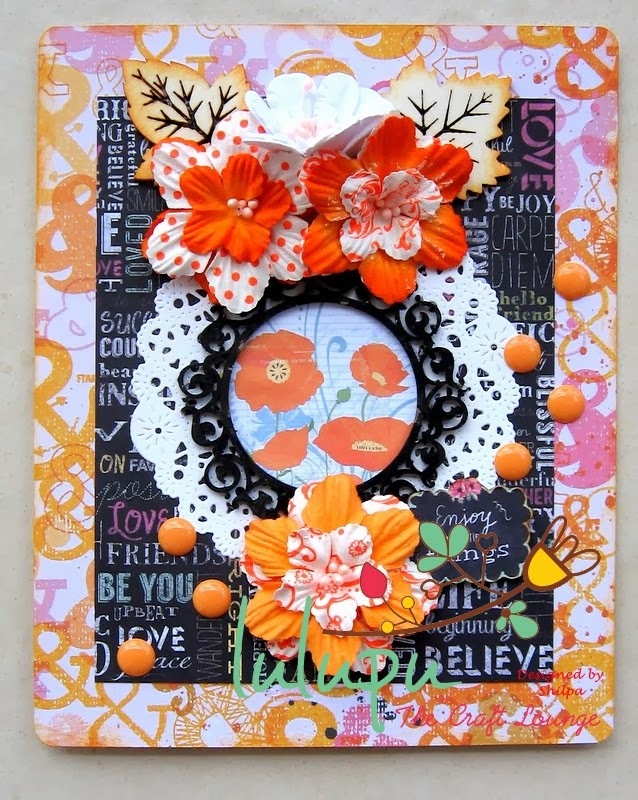 There is always fun to use New crafty products! And It is an adventure to try new technique! 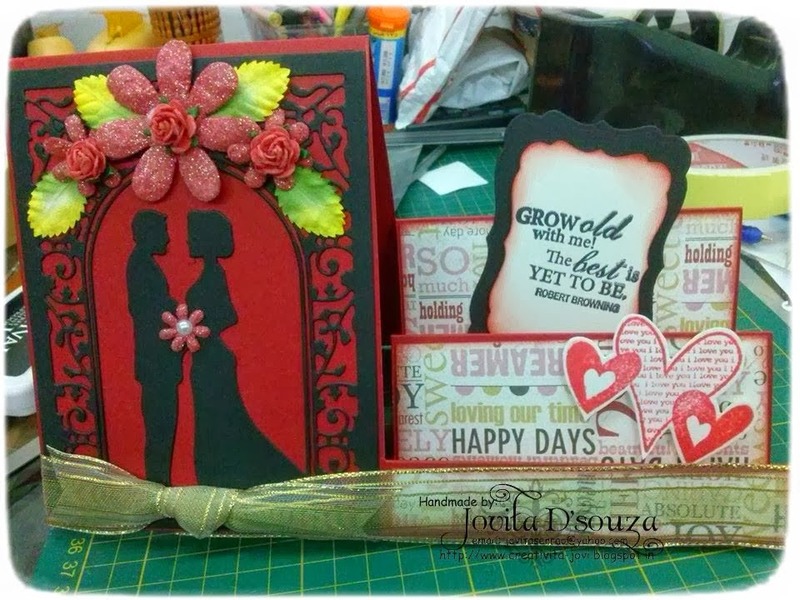 Pooja and Valou have presented marvellous cards with this theme before! 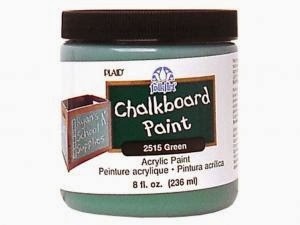 Today, I've come up with newest trend in the industry, Chalkboard Paint! What are other new products I've used ? 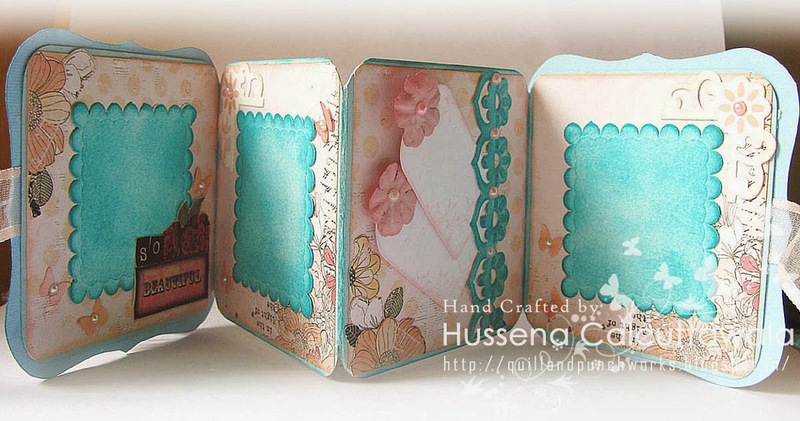 Poppy paper pad from Little yellow bicycle and Prima Optimist collection - awesome papers! Aren't these orange blooms gorgeous? They are Prima Mulberry flowers. Look at Wood Laser cut veneers Leaves, they too are from Prima ! 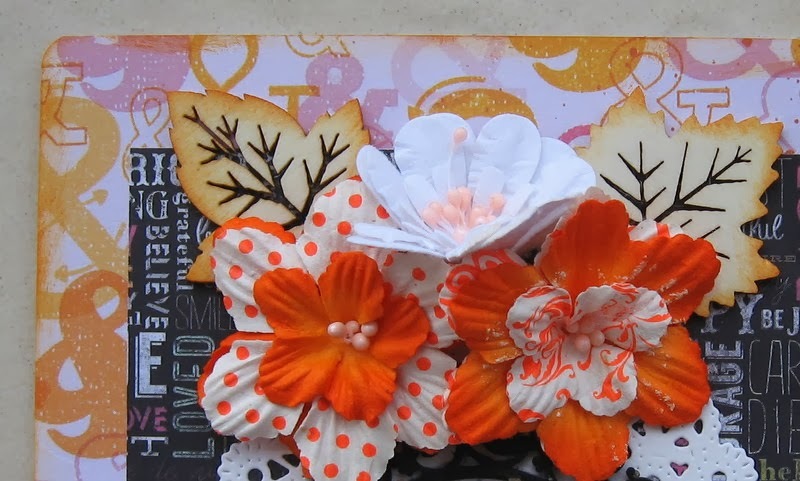 Cute orange sugar dots (enamel dots) add elegance to the project, which I had put on card as a finishing touch. 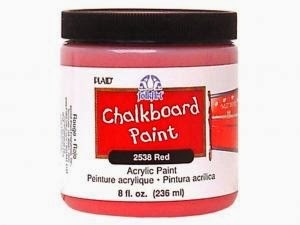 1.Chalkboard Paint come in three classic colours - Black, Red and Green. They are very high quality and opaque. You can apply it on Wood, Paper, Terra Cotta, Canvas and most pours surface. 2. How to apply - Two coats are recommended. Apply first coat horizontally, let it dry for an hour. Apply second coat vertically, let it dry for 24 hrs. My experience is, paper dries within an hour. And your Chalkboard is ready! 3. 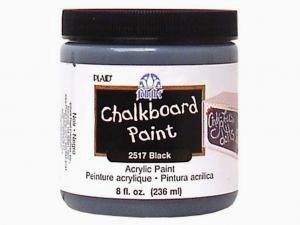 Most obvious mediums that we work on chalkboard paint are - Chalk, Pastel pencils in white, pink, blue,green colours, Colour pencils, Crayon, White jelly roll pen, white pigment ink, embossing powder, Gelatos. 4. What can we create with this? 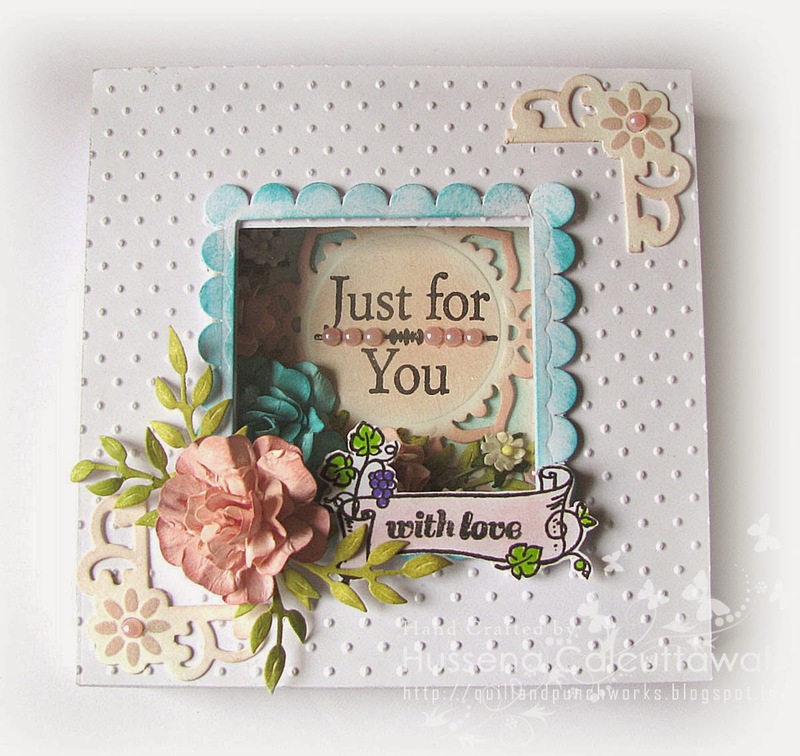 - Flowers and leaves with white borders, tags, gift cards, journal cards, banners, frames, fridge magnets, or cute little Chalk board itself for your kids' room or for your kitchen! possibilities are endless! Don't wait! Try this soon! 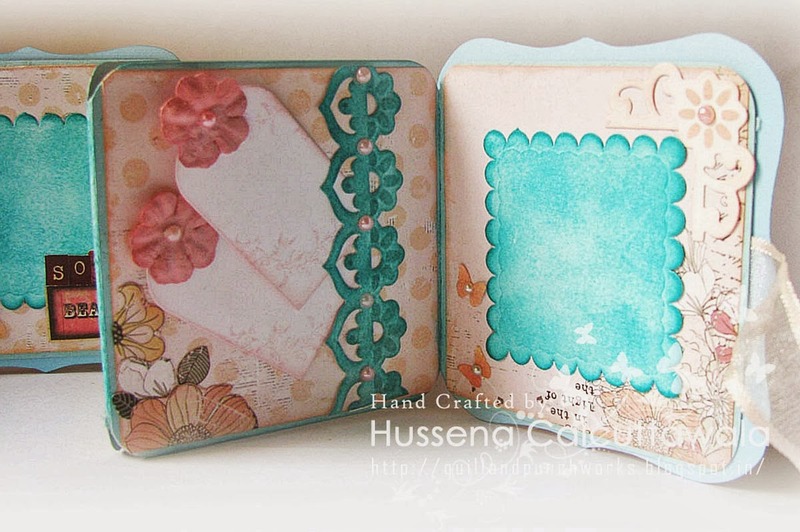 We are looking forward to seeing your beautiful Cards with new techniques and new products. The entries were indeed magical. Thank you for sharing such beautiful work with us. We truly appreciate each entry and the effort taken to participate. We had so so many entries that we did have to spend more time on this one. but again many did not follow the challenge rules and were disqualified. so here are our special mentions who made their mark on us! Here are the Design Team's favorites! 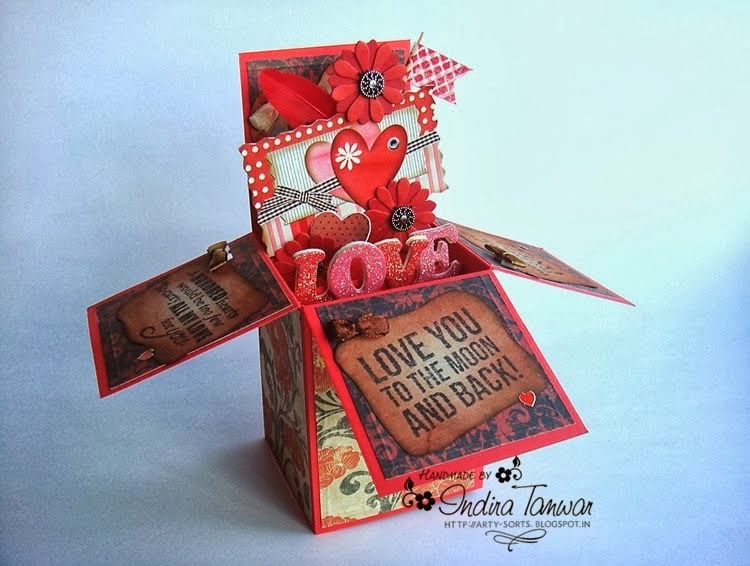 another pop up card! but still unique with fabulous papers! Now thats a step ahead of explosion boxes and its so gorgeous. 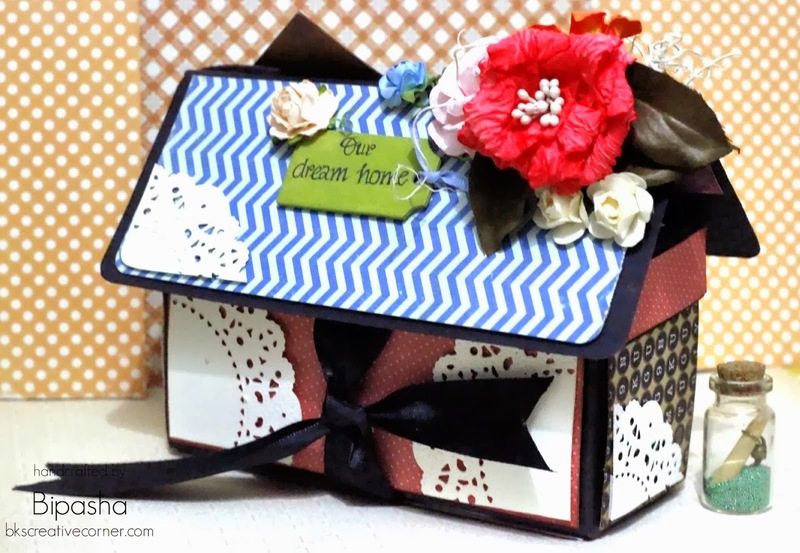 Please do visit her blog to see all the details inside. Great use of PP and amazingly embellished! Loved it! Congrats to all the winners. Please click here to get your blinkies! We have a very simple yet a fun challenge this fortnight! we hope you join us and share your work!